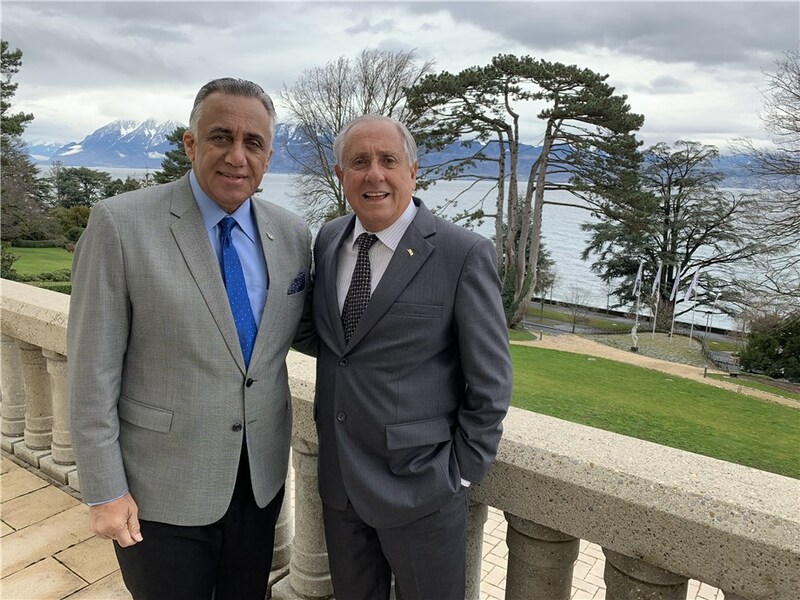 LAUSANNE, Switzerland, March 19, 2019 – FIVB President Dr. Ary S. Graça F° welcomed Mr. Luis Mejía Oviedo, IOC Member and President of the Dominican Republic Olympic Committee, to the FIVB HQ last Friday. Both Presidents discussed the possibilities of cooperation between the respective sports institutions, including the promotion of volleyball in Dominican Republic via the NOC’s TV Channel. Also among the topics on the agenda were the international relations between the sports organisations. Mr. Luis Mejía Oviedo praised the progress made by the FIVB in implementing innovative technology at events around the world as the IF continues to lead the way in developing its sport. Following the meeting, the FIVB President said: "It was a great pleasure to meet Luis Mejía Oviedo and discuss the development of volleyball around the world and, of course, in the Dominican Republic. We are going to continue our cooperation in order to further promote our sport in the country."